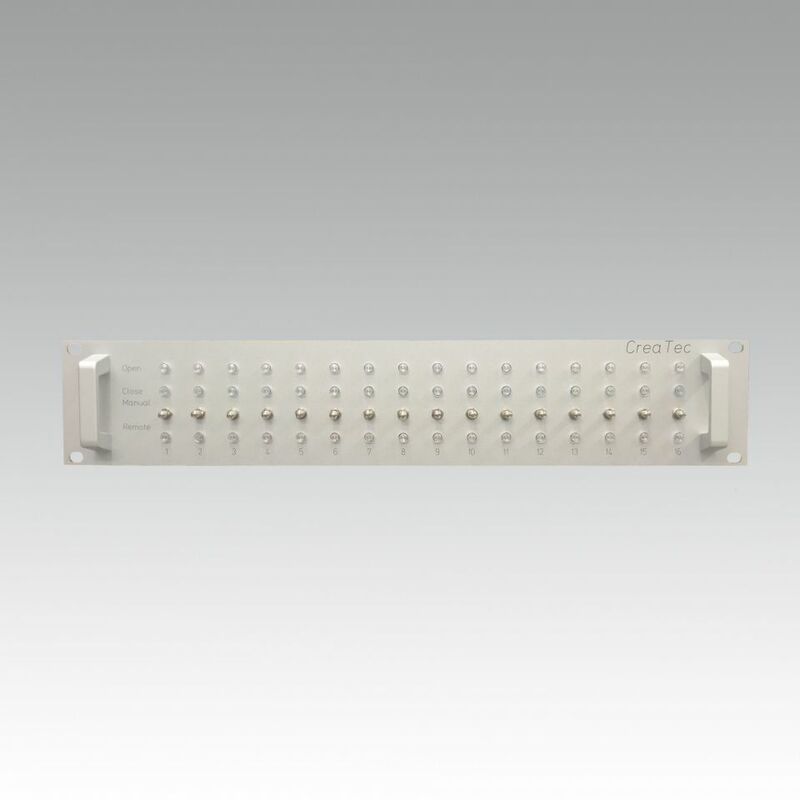 CreaTec's Shutter Controller is used to control up to 16 channels with 24 VDC signals. Either electrical devices or pneumatic actuator (with valve clusters or single valves) are possible. For each channel, the sensor of the corresponded device will be read in real time. Furthermore data is logged in real time and can be exported to an USB memory stick.